Enjoy a flight of our current releases. Approximately 1 Hour. 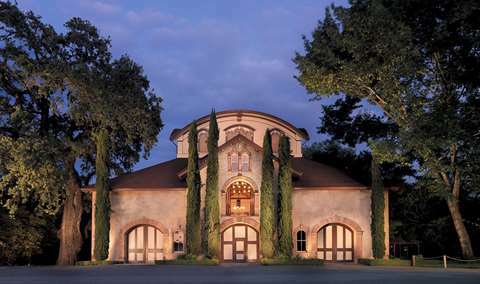 Keenan winery is located in the Spring Mountain District of the Napa Valley. 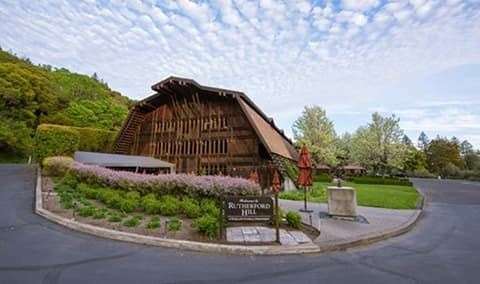 High in the Mayacamas Range, at an elevation of 1,700 feet above the Napa Valley floor, are Spring Mountain and the Robert Keenan Winery and vineyards. 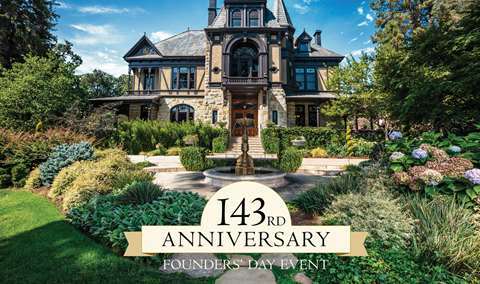 This area was first identified as prime vineyard land by Peter Conradi in the late 19th century when he planted 100 acres of terraced vineyard in Zinfandel and Syrah grapes. The Conradi Winery operated until Prohibition when the vineyards and winery fell out of use. In 1974, Robert Keenan purchased 180 acres of forest on the defunct Conradi Winery site. No vines remained. 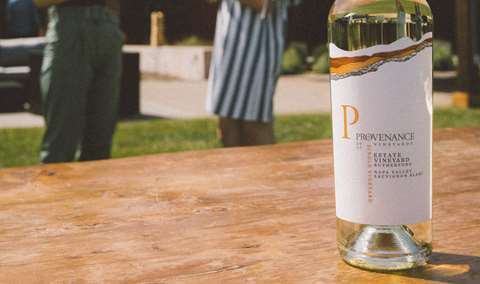 Only the crumbling walls of the former winery and a few old broken tanks told of its history, but Robert was certain the mountain top vineyards would be perfect for an estate winery. 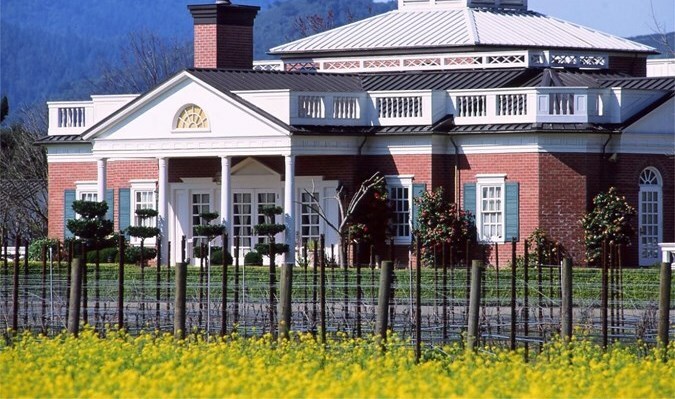 He replaced tree stumps and rocks with rows of Cabernet and Chardonnay, hired an engineer to redesign the original winery structure, and brought in a contractor to begin construction. The winery was made operational just in time for the harvest of 1977. From that time on, Keenan has earned a great reputation for producing wines of intense character and renowned acclaim. Keenan focuses on three varietals -- Chardonnay, Cabernet Sauvignon, and Merlot. It produces nearly 10,000 cases per year. 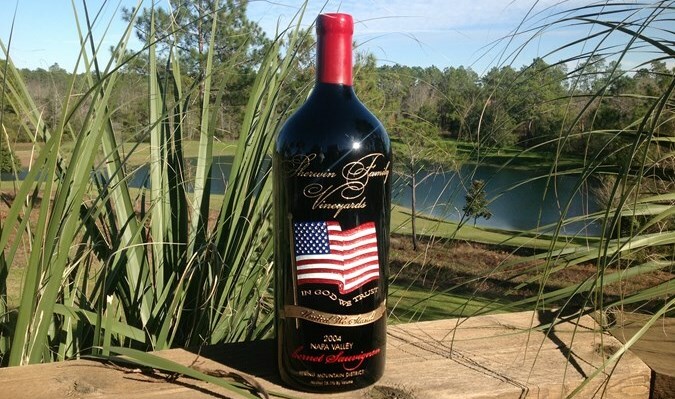 Combining the dedication of experienced winemakers with a commitment to excellence, the Robert Keenan Winery has distinguished itself as a maker of exceptional wines -- in limited varietals and quantity. 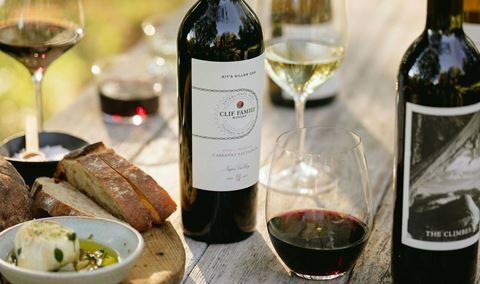 Wines for sipping, wines for enjoying, wines for enhancing any occasion. In the last six vintages, 33 wines have been rated between 90 and 96 points by Robert Parker Jr.
We've nicknamed this "Heaven's Tasting Room"
We LOVE to go to Keenan! 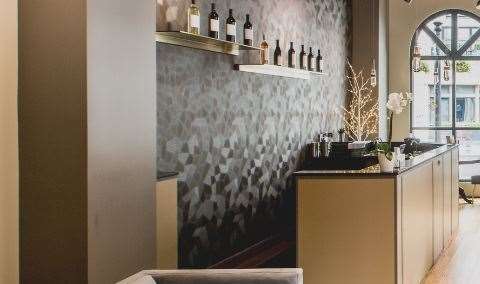 Not only are their wines exceptional, but the vinyard and tasting room make for a Great experience. Now for one of thee most important parts of everyone's wine tasting experience, Laura. If you've ever had a chance to meet Laura you know what I'm talking about. She is always happy, shares her many years of experience with you and is just a joy to spend some time with. Keenan was an exceptional experience - not to be missed! The wine was superb, the views were spectacular, and our host, Riley, was knowledgeable, engaging and fantastic! An amazing and FUN experience. Make sure you ask for Riley!!! We are wine club members at Keenan Winery and visited the winery to pick up our wine shipment, but also to do a tasting. As always, Laura was a very gracious and vibrant host. She is very welcoming and good-spirted. Her knowledge of the wines and the history of the winery make for a very pleasant experience. The wines aren’t bad either. Fantastic wines! Laura is the absolute best! We always enjoy our Keenan tastings immensely. We had an appointment. We walked in and there was no where to sit. We had to stand at the bar. The lady pouring was too busy with other members and left us standing awkwardly for 15 minutes. I will never darken Keenans doorstep again. I travel to Napa 3 times a year and belong to 5 clubs. One of our favorites in our first trip to Napa. Such a fun, intimate, and relaxed tasting with many options. Also got to briefly meet the winemaker. Beautiful winery off the beaten track that was very much welcome after sitting in traffic. Outstanding visit. The vibe is informal, sort of like the old days in Napa. They also comp the tasting fee if you buy a bottle of wine, which is all too rare these days in Napa. Great hospitality.The wines are outstanding and they taste through the entire lineup, including the reserve wines. Just a great tasting experience on Spring Mountain that is a bit of a throwback to simpler days in Napa! 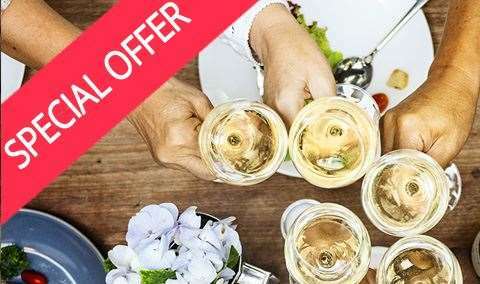 Fabulous wines in a gorgeous location with very friendly prices. We’re grateful Wine Club members. Highly recommend this non-corporate, family owned and run winery! Great people, excellent wines, outstanding service. You made my birthday something to remember. Thank you for a wonderful day. Very welcoming and warm reception. Our host put us at ease straightaway. We tasted a lite of very good wine- my ideal of a great merlot. The location is lovely, the tasting room was warm and inviting, the wines are delicious, and Laura's hospitality was charming! We enjoyed it all so much we joined the wine club. We'll be back this summer, thanks! Great atmosphere, great wine and our host was so friendly and helpful. Keenan is one of our favorite family-owned Spring Mountain producers. Nobody makes a better merlot, and their cabernet franc is just absolutely delicious. We had a large group - 6 adults and 2 kids - and Keenan creates such a family friendly environment. Laura runs their tasting experience and she is the best! We love visiting Keenan and cant wait until our next visit! Was immediately greeted with a hug and a smile! The scenery was absolutely gorgeous! Beautiful views, private. We were made to feel welcomed as special guests. Love their wines! Highly recommend this winery as a must see and taste! Always our first stop every February. Amazing drive up into Spring Hill and the tasting room views did not disappoint. I almost forgot to mention how wonderful the wine tasted. Awesome spread that dialed into the region of the grapes. A great trip up the mountain to get there (hire a driver like my team of 11 did). Greater tasting. And a great fun hostess. I just wish I could remember her name. Beautiful location, great wines (esp the reserves) and fantastic tasting room experience. Laura was great as always. Very knowledgeable. What an incredible experience! Laura March made this an A+++ visit. From her vast knowledge of the property, the wine-making process, and wine in general, her expertise made the entire morning fascinating. The wine was divine and we truly enjoyed visiting the cellar to see production areas and sample from the barrels! What a unique and special privilege. Thank you, Keenan Winery! We'll be back! The drive up Spring Mountain to Keenan is unbelievably beautiful. Redwoods and ferns line the narrow road. At the winery, we were graciously welcomed by Laura. She treated us to a fantastic tasting. Keenan’s standard tasting option features seven wines, which is almost unheard of. Keenan and Spring Mountain are not to be missed. The drive up to Keenan was beautiful. The tasting room is very warm and welcoming. The wines are superb! Laura is very friendly and knowledgeable about Keenan wines. She is a delight to visit with while doing the tasting. Myself and 6 friends went on a weekend getaway to wine country where we attended about 10 wineries. Keenan was by far everyone's experience. 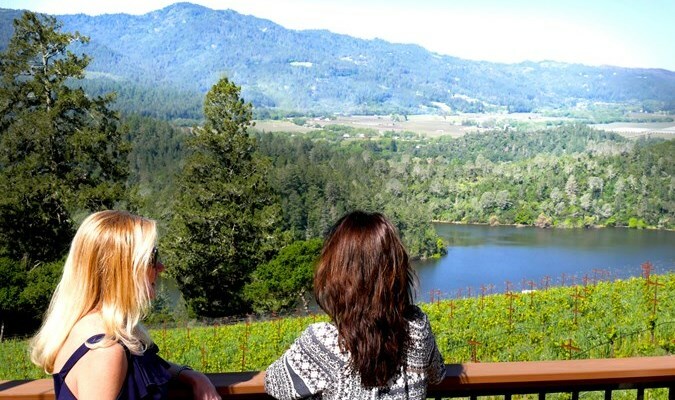 The winery offers a perfect balance of rustic and high-end class that people seek when vacationing in Napa. 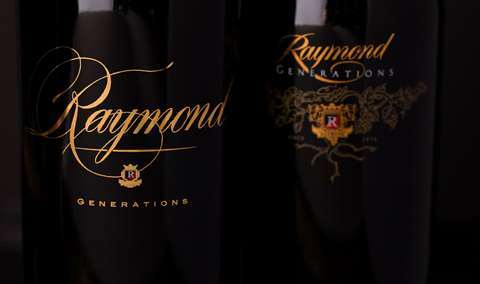 The winery has been in the family since the 70's and Riley (sic) Keenan ensured that we had an incredible experience. Would recommend to everyone. It was great to get re-acquainted with Reilly. From the time we walked into the winery we were greeted with a warm welcome! It was a great experience!! Laura and Matt (hope I have his name right!!!) were very hospitable and informative. This is our second trip to Keenan, and we love the wine and the setting, though it is NASTY to get to (hahaha). Laure was kind enough to send my wife Molly a picture and description of the Christmas tree, which we are hunting for now (we live in the midwest). Suffice to say, we will be back! We thoroughly enjoyed our experience with Keenan Winery. The drive from St. Helena was beautiful in the rain. The wines were showing fantastically, with the general consensus being the Merlot Reserve. The Library Release offerings were diverse and offered some solid vintages at reasonable prices. Have always and will continue to enjoy the wines. Family run winery that is beautiful and welcoming. Located at then end of a narrow and windy road, the secluded feel adds to the ambiance. The wines are amazing and very reasonably priced considering the level of quality. 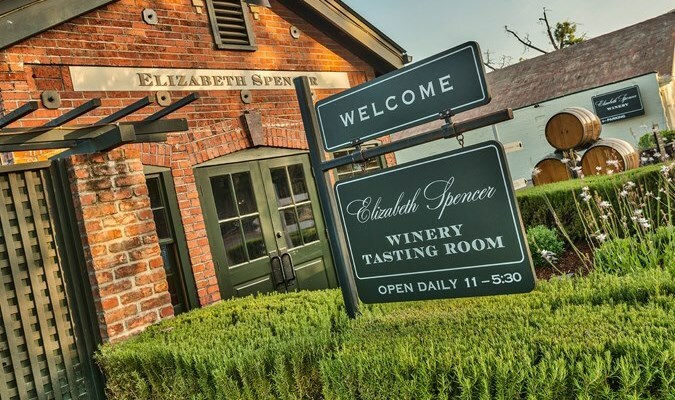 Have been visiting for several years now and it’s one we take all of our friends and family to when visiting the Napa Valley. Great place to visit. One on one attention. Beautiful view. The dog was so cute. We always have an excellent time here. Reilly was very welcoming. Amazing wines.